Cambridge, UK, Monday, 20 February 2017 – BrightSign, LLC®, the global market leader in digital signage media players, today announced that its players are delivering the interactive and personalised training experience in the FunXtion Experience Station installed in over 150 gyms in seven countries. FunXtion is rolling the concept out worldwide. 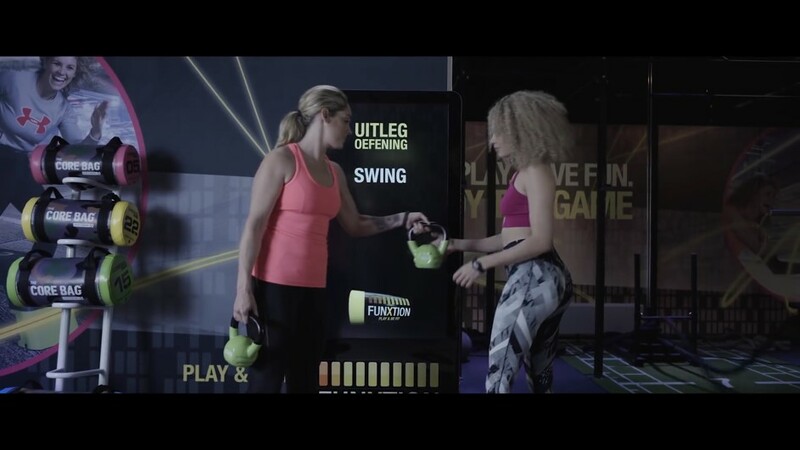 The FunXtion Experience Station adds new interactivity to the experience of visiting a gym, under the control of BrightSign’s newest XT1143 4K players. Created by Notice Branded Media Experience Station offers a personalised virtual coaching system, enabling users to work out safely, challenge themselves, and track and trace their workouts. They can also work out in groups, with two or more screens providing synchronised video content under the control of the players. Users log in using an RFID wristband, and find a personalised range of functional exercises, gamified workouts, challenges and timers. Experience Station consists of a 55” screen, which can also be controlled by touch. FunXtion initially piloted the concept with gyms in their home country, the Netherlands where 100 stations are now in use. Take up worldwide is growing, with over 50 gyms in the UK, Germany, Denmark, Sweden, Norway and Spain ordering Experience Stations. Ernst de Neef is now spending considerably more time in the air, as global interest grows. The FunXtion Experience Station was initially created using BrightSign 4K1042 players, but since the launch of BrightSign Series 3 players, Notice has moved to the XT1143, bringing a number of advantages. The user’s heart rate is read via their MyZone band worn around the chest. This band connects to the gym network through Wi-Fi, and the player interrogates it every second to obtain a new reading.